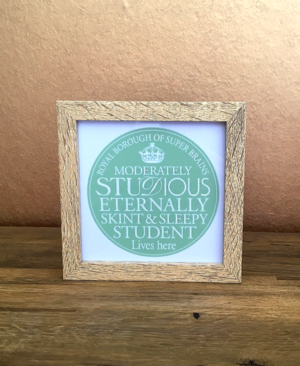 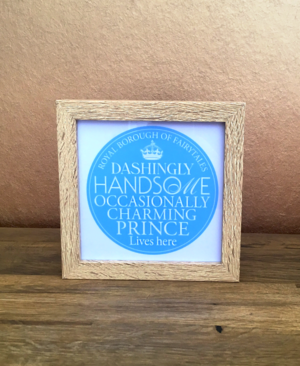 This Dashingly Handsome Prince Light up Frame will make a fabulous gift for someone deserving of the accolade, ‘Dashingly handsome, occasionally charming prince lives here’. 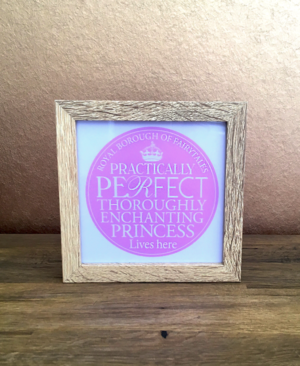 This Enchanting Princess Light up Frame is a beautiful gift for princesses of all ages, featuring the wonderful compliment ‘Practically perfect, thoroughly enchanting princess lives here’. 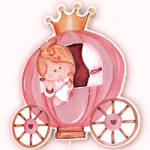 The ‘Royal Borough of Fairytales’ endorsement displayed around the pink coloured circle adds to the magic of this gorgeous gift. 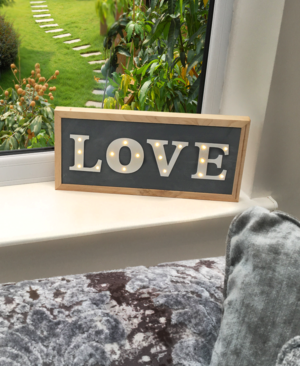 This free standing light up sign is the perfect size to perch on a window sill, shelf or side table. 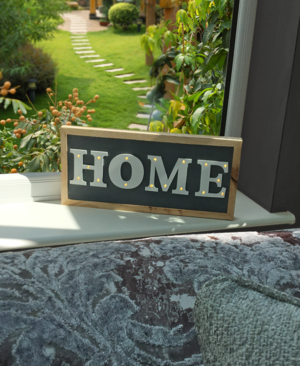 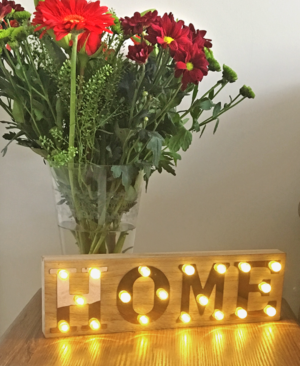 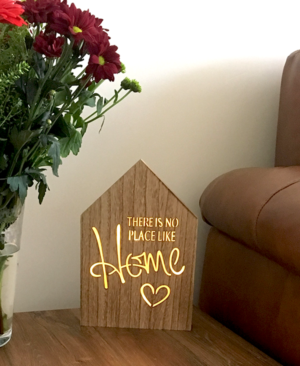 This stylish ‘home’ sign creates a lovely atmospheric glow when lit. 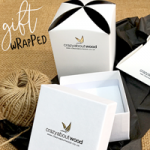 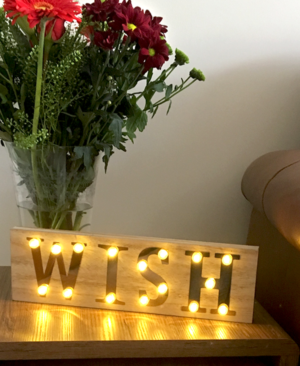 Part of our popular range of wooden ‘light up’ signs, this stylish example features mirrored ‘Wish’ lettering that is inset with LED lighting. 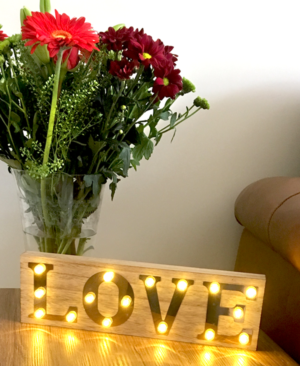 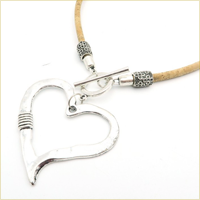 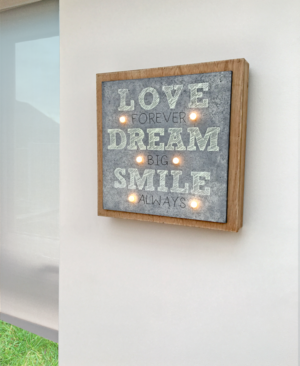 This Love, Dream, Smile LED plaque is a firm favourite this season! 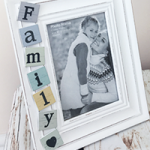 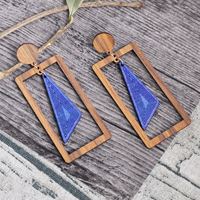 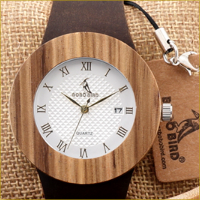 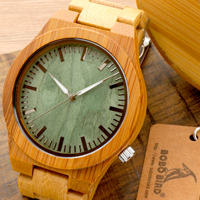 The mottled grey finish creates a slate look and feel to the background and the chunky wooden frame layered beneath gives it a contemporary edge.